Office Online Server is the next version of the Office Web Apps, which allows your users to view and edit Microsoft Office documents directly in their browsers. 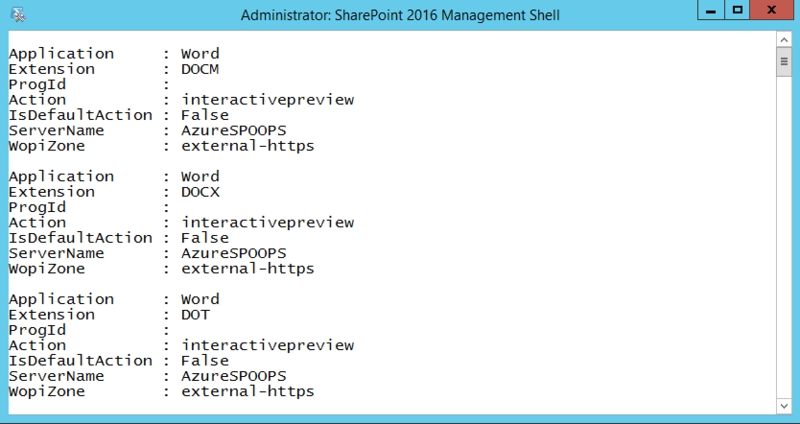 It is also a prerequisite to have the Durable Links feature of SharePoint 2016 on-premises work properly. 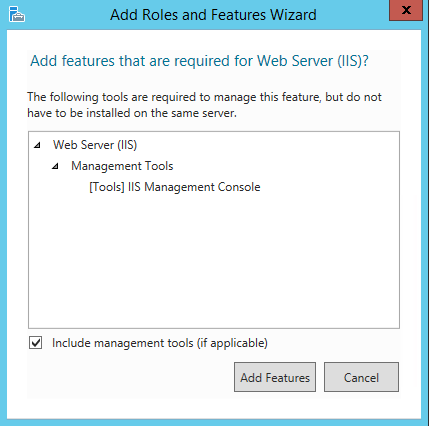 Just like its 2013 predecessor, Office Online Server 2016 needs to be installed on its own server, and cannot coexist with a SharePoint installation. It can still be used as a standalone installation. In the present article, I will go over the installation process. 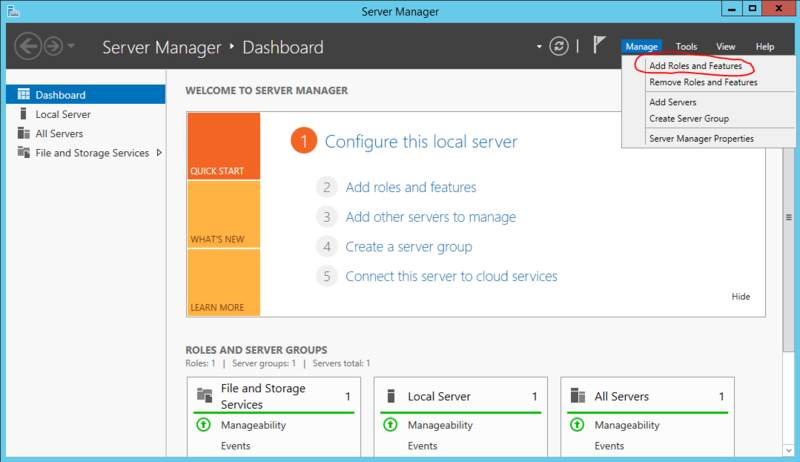 The farm I will use is a SharePoint 2016 farm hosted in Azure. 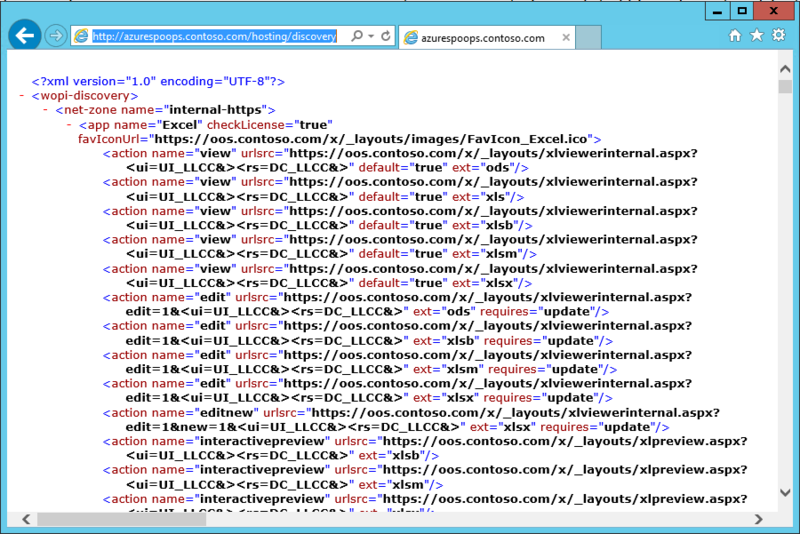 It has one SQL Server with the SharePoint 2016 Application Server MinRole installed on, a Web-Front end (MinRole), and a standalone Office Online Server (OOS) node. 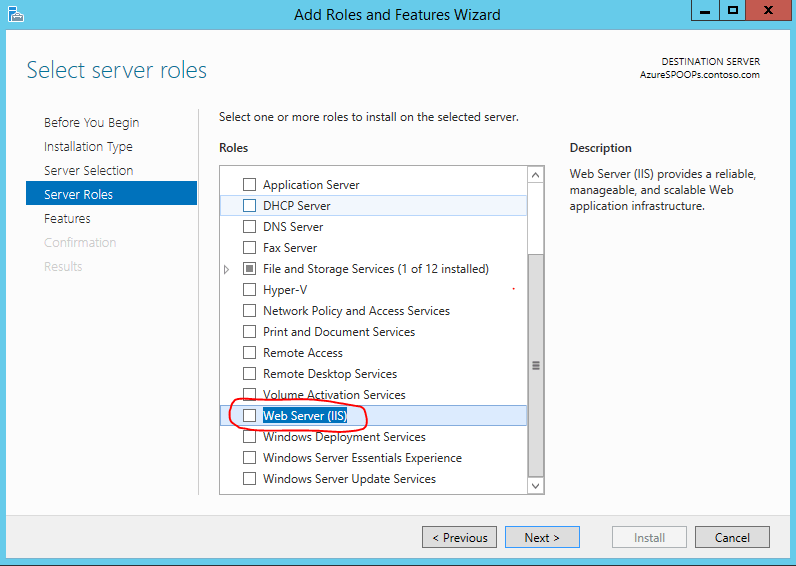 In this article, we will be installing Office Online Server on an Azure server named AzureSPOOPS (not an typo, the ‘p’ was there for -on-premises). 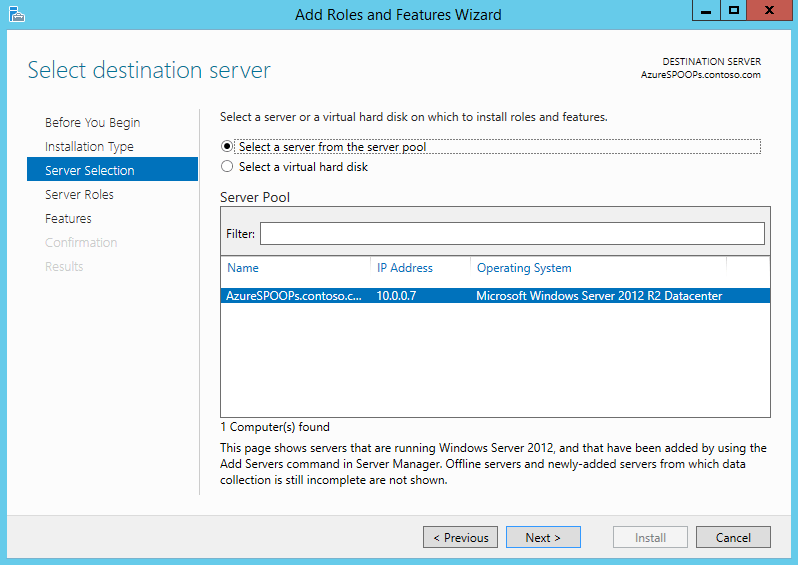 The server is running Windows Server 2012 R2 and is a brand new Azure Cloud Virtual Machine I just created. 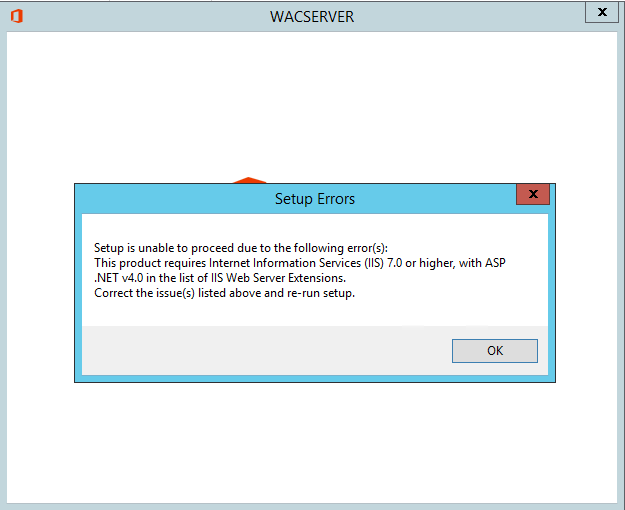 If you simply try to run the setupe.exe application from the installation media on a new server, you will get the following error. 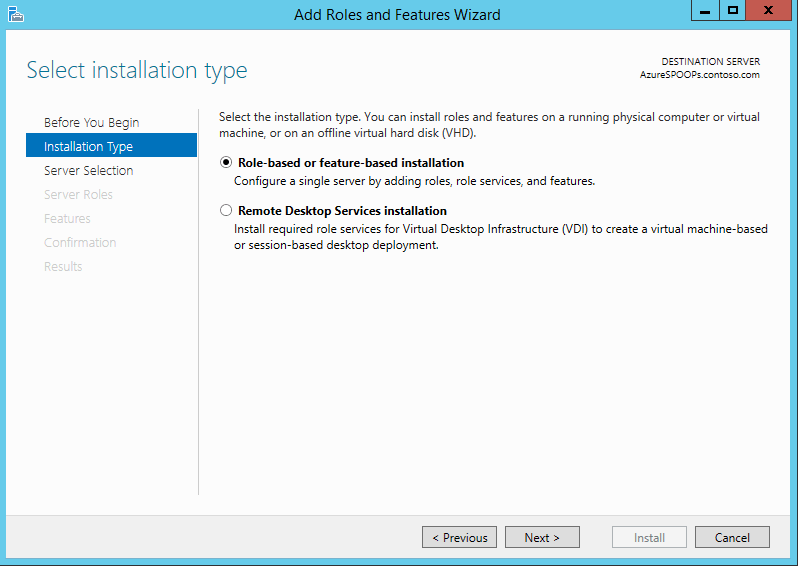 Please note that this article was written at a time when the Office Online Server had just been made available for 3 days, so installation steps and screens are likely to change once the product its RTM. Let the installation progress finish and close the window. 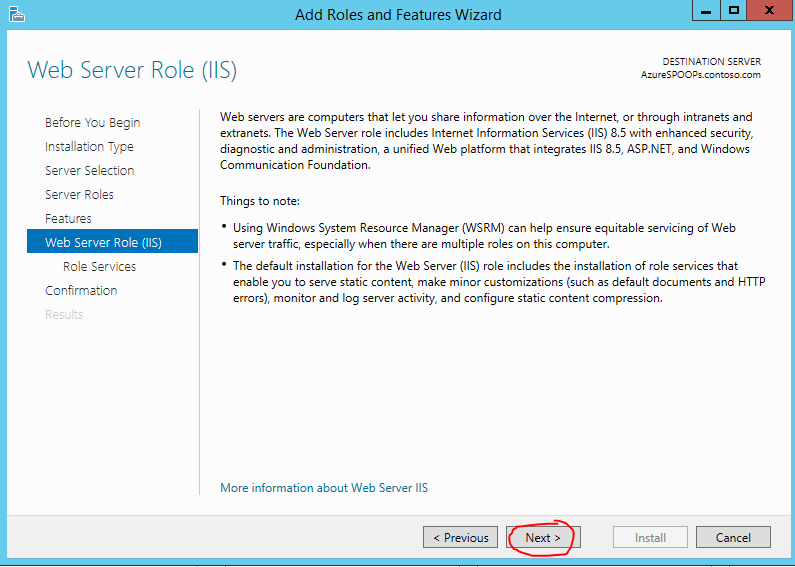 We are now ready to re-run the setup.exe installation application for the Office Online Server. 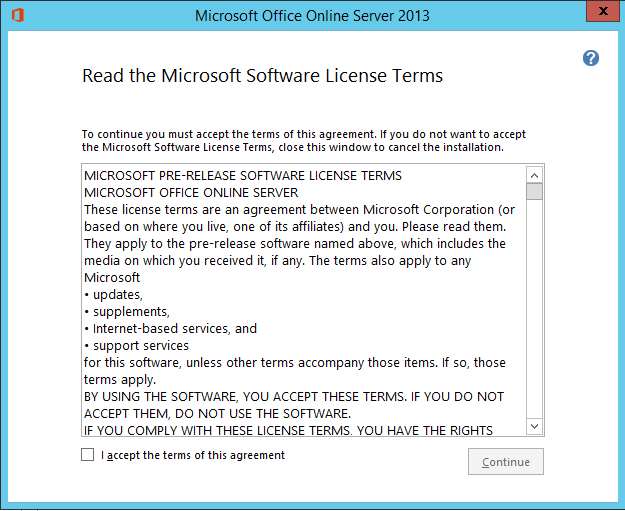 This time, instead of getting the error message, we should be presented with the License Terms screen (yes, the title says Microsoft Office Online Server 2013, which in theory never existed). Click I accept the terms of this agreement and click on the Continue button. 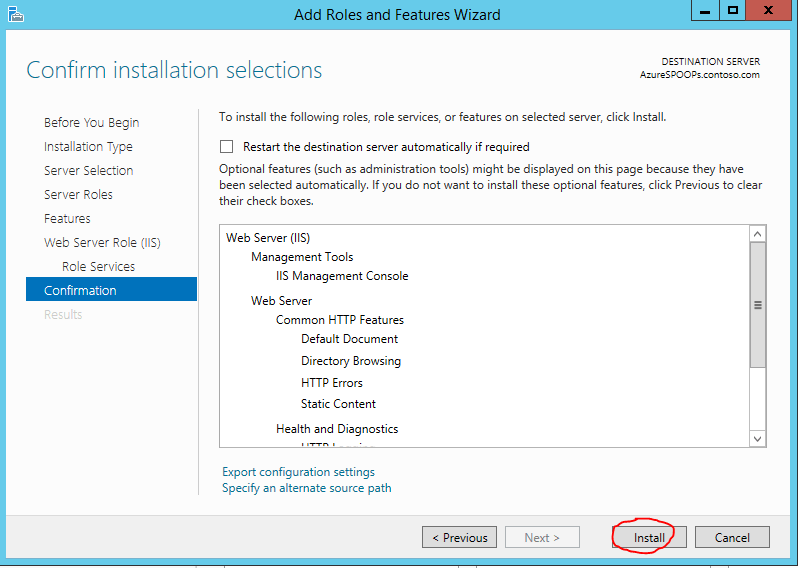 Keep the default installation path, unless you have a requirement to put the files in a separate location (e.g. different disk drive). 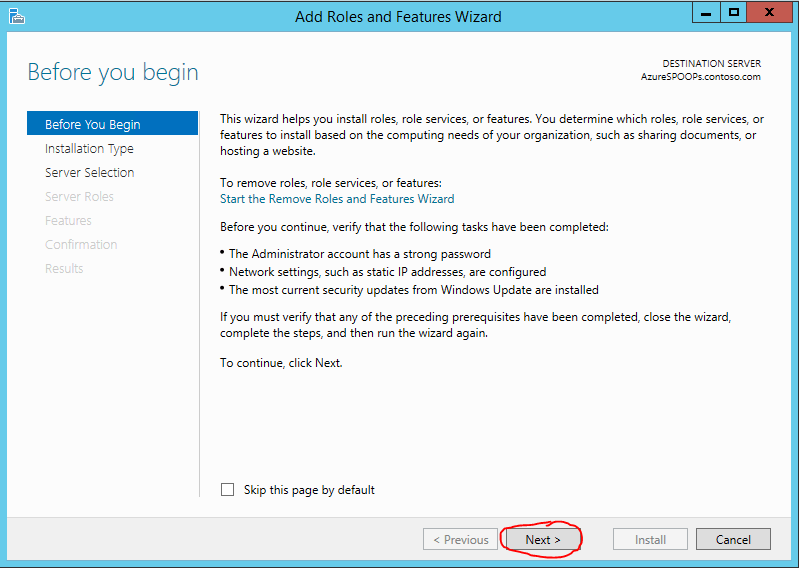 Click on the Install Now button. The installation progress should take about 5-6 minutes. Once completed, you will be presented with the following screen. Simply click on the Close button. 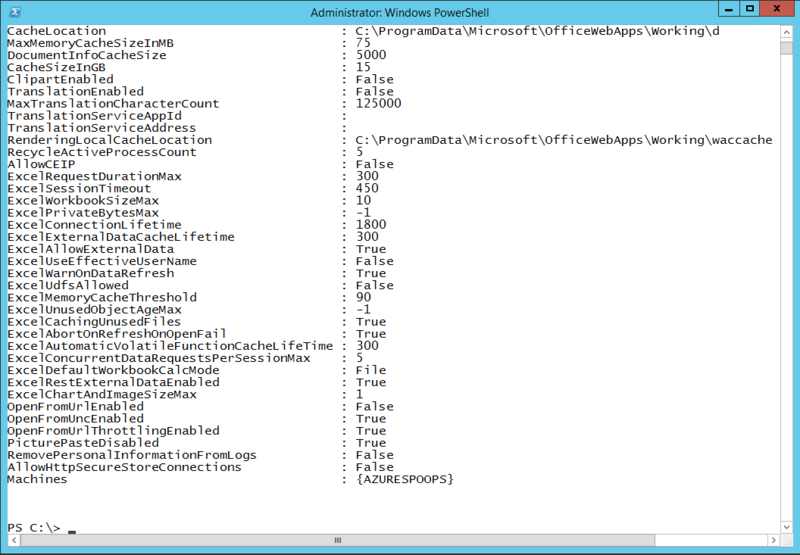 *Note SSLOffloaded should only be used in dev/test environments. 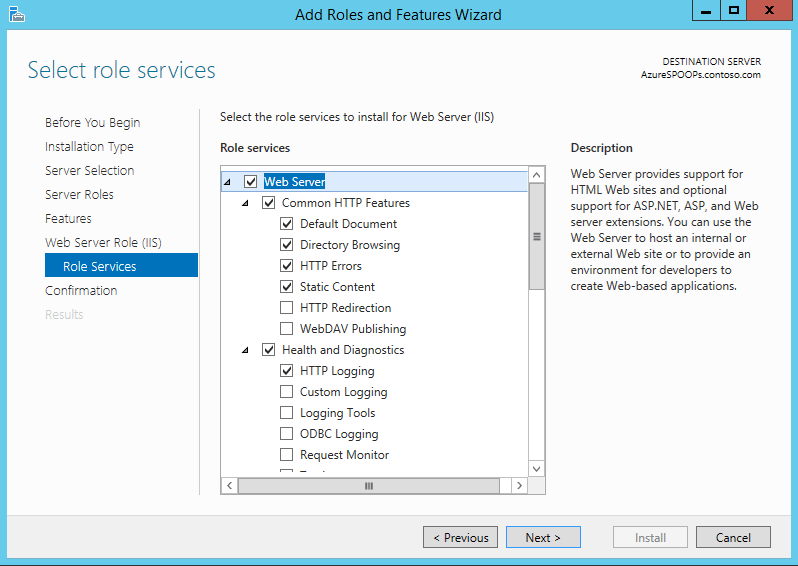 In production you will want to have the communication done over SSL. 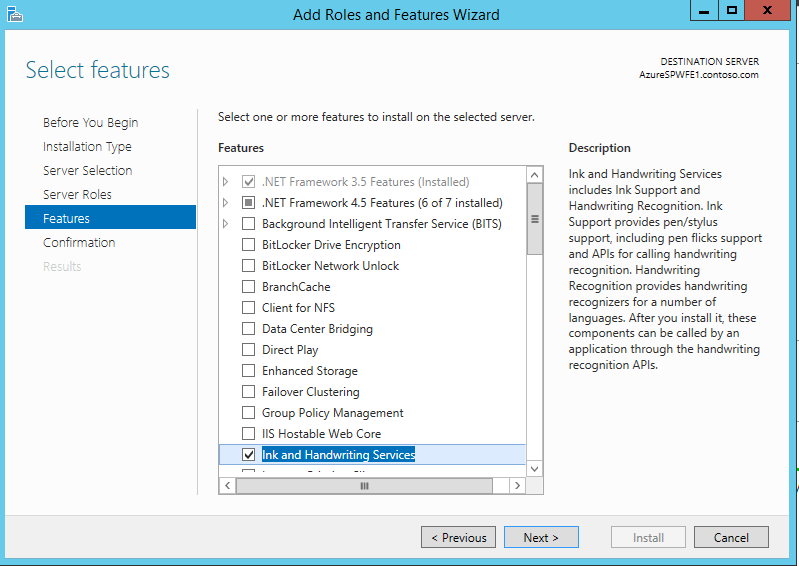 *Note that -AllowHTTP is ok for non-production environments only. In a production environment you’ll want to ensure communication is done over SSL. We are now all set! 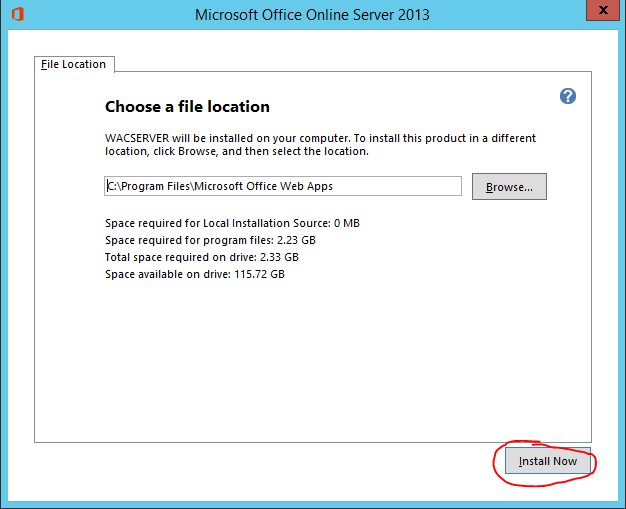 Why does screen show Office Online Server 2013 ? 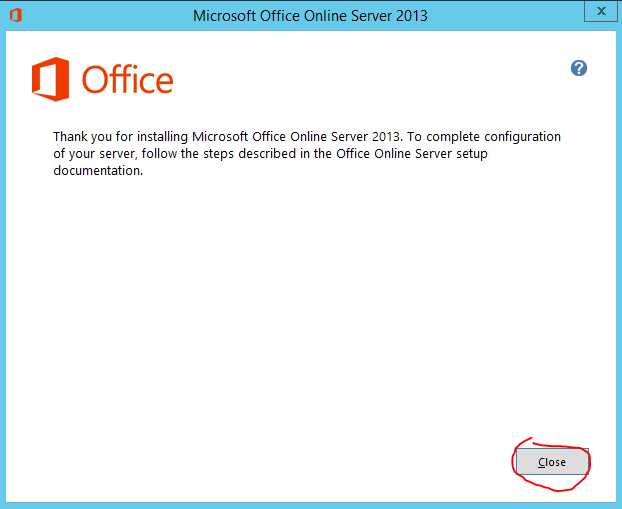 I followed all the steps, everything runs properly, but my office online server don’t work. I see the following message: 404 – File or directory not found. What can be caused this error? Ivan, are you getting the 404 when trying to browse to http:///hosting/discovery ?